In order to run a successful real estate business, it’s vital that your website shows up in Google search results. The best way to achieve this is through SEM. Learn what SEM is, how it works, and how, as a real estate agent, you can use it to boost your brand. SEM stands for Search Engine Marketing. It’s often also referred to as Paid Search advertising. The most popular platform for SEM is Google AdWords, but other search engines also have their own versions, such as Bing Ads. Paid search ads are how the referral sites find home seller leads so you can also use their advertising strategies to advertise your real estate services. This form of advertising allows you to set your own budget in advance, and gives you the option of topping it up when your credit runs out. This is why this form of advertising is often known as PPC (Pay-Per-Click) – you pay Google a set amount every time someone clicks on your paid search ad. Ads that are targeted specifically at mobile users can be referred to as Pay-Per-Call. This is because these ads can be charged by the number of clicks on your ad that have resulted in direct calls from smartphones. SEM is priced based on the keywords you choose, which should be the ones most relevant to real estate. Most paid search ads are sold on a CPC (Cost-Per-Click) basis, although some advertising options may be priced using CPM (cost per 1,000 impressions, i.e. how many times it’s been displayed for a search results query). Also, it’s a good idea to choose both singular and plural versions of your keywords, as some users might search for “agent” and others for “agents”. In order to choose the best keywords, it’s a good idea to research the volume of searches relating to real estate in your area. How many times has a particular question been typed into the Google search bar in the last month? Search volume is usually measured on a month-to-month basis. Once your own ad is up and running, you can then use this search volume to monitor how many of these searches your ad is showing up for, to see how effective your keywords are. The aim of SEM is for your ad to show up in as many relevant searches as possible, so anyone searching for real estate in your area will get to know about you as an agent. Suggested bid (e.g $2) x number of searches (e.g 10) = $20 a day. However, there’s no reason why you have to show up in every search result each day. You can set a smaller budget if you only want to show up a certain amount of times. For example, if you’re happy for your ad only to show up until it’s been clicked three times in a day, you can set a budget of $6 per day. This equates to approximately $180 a month ($6 x 30 days) or $2,160 per year ($180 x 12 months). Ultimately, the size of your SEM budget will depend on the cost of your target keywords. Some keywords can be as much as $10 a bid or more, and they’ll be more expensive if other advertisers are willing to pay more than you for the same keywords. Therefore, you’ll have to spend more in order to achieve the same results. Brand recognition – making sure your brand and your own name appear in search results will make you more memorable to users. Click-throughs – people viewing your ad clicking through to your web page. Click-to-call – mobile users calling you directly from your ad. Calls to your phone number on a trackable ad. Downloads of your selling guides. Form completion – viewers filling in a form on your landing page, such as to request an appraisal appointment. Search Network – your ad will show up in Google search results. Display Network – this is a huge network of websites that have enabled Google AdSense. Your ad will be displayed on any of these websites that Google considers relevant to the keywords you have chosen. Search Network with Display Opt-in – a combination of the two. Alternatively, you can use your campaign for remarketing, where your ad will retarget users who have previously shown an interest in your brand and visited your website. How highly will I rank? Your ad’s position in Google search results depends on several factors. Firstly, it depends on how much you are willing to pay in comparison to your competitors. However, Google takes a variety of other factors into account too. You need to have a good quality score, which is achieved by creating well-written, highly relevant ad copy. In addition, if you are also advertising on the Display Network, your score will also be affected by the creativity and relevance of your landing page – the page that viewers land on when they click through on your ad. 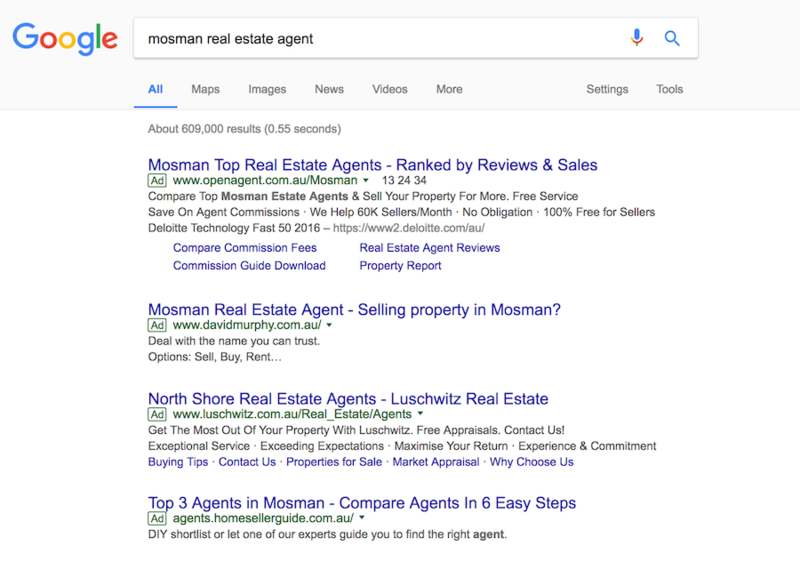 What definitely doesn’t make a good landing page is your agent profile on your real estate agency website. There are two reasons why you shouldn’t use this. 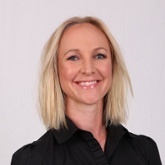 Firstly, your profile is one of several agents on your real estate company website or agency directory. If visitors click through to your profile, from there they can easily check out the other agents. This can lead to a scenario where you paid for the ad, but someone else ends up getting the listing, something that obviously you need to avoid. This is why you should have your own individual agent website. If viewers click through to your own website, they won’t encounter distractions such as competing agents. It also enables you to include a clear call to action – for viewers to contact you. It’s always a good idea to get an expert to assist you with your marketing, particularly if you are new to SEM. However, you need to find out what percentage of your ad spend they will keep, compared to how much is going to the Google advertising network. This is important as Google has a rule that it can’t be more than 45 percent of what you’re paying. The ideal company to work with will be transparent with its costs and also be prepared to share its advertising data with you, so you can keep track of how effective your SEM campaigns actually are. 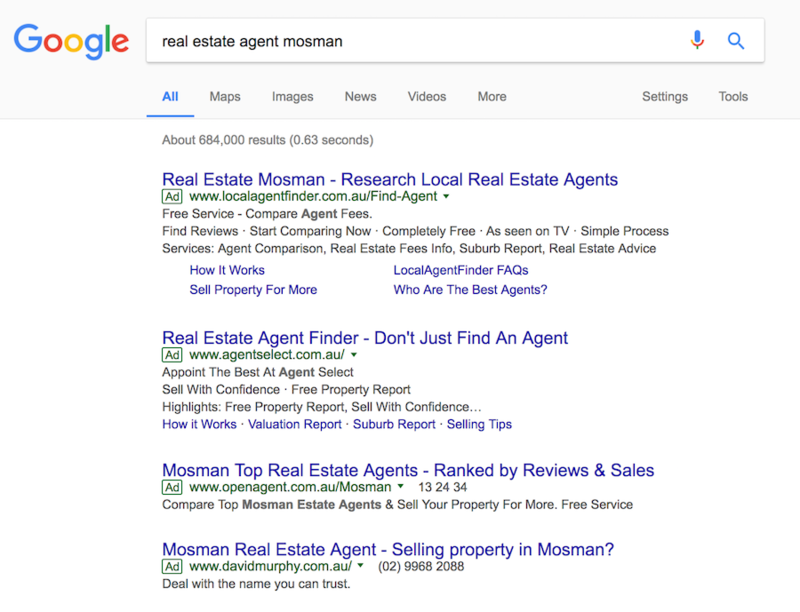 Here at Hoole.co, our highly experienced team are specialists in real estate marketing, and are happy to assist you in creating SEM campaigns, plus we can also build you an agent website so that your Google advertising can be optimised and really work for you. And if you’d like to learn other ways you can make it to the front page of Google, read this previous article: How to appear on the first page of Google.